Are you looking for the perfect statement table? 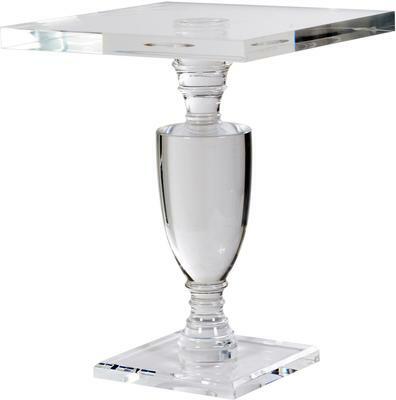 This Acrylic Side Table makes a wonderful statement piece in your living room, dining area or even in your entertainment space. 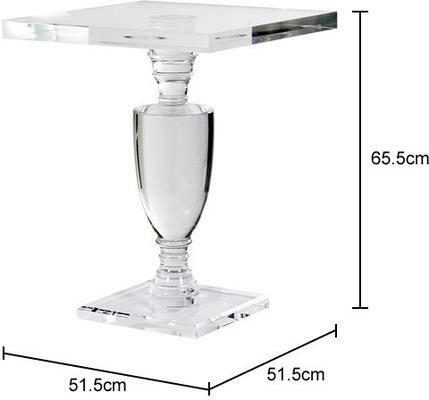 The table is handmade by skilled craftsmen using high quality acrylic. The sleek acrylic finish makes this perfect for modern as well as contemporary interiors. The table features a square top surface supported by a lovely stand and a smaller square base for stability.